What an unpleasant topic. In the US with the love/hate affair of Lance Armstrong, it seems to be in the paper daily. I'm a realist but I'm also an optimist. I don't want to believe he cheated but I realize he might have. So, I choose to believe that if he did, the last chapter in his life will undo everything because he'll live a long and healthy life and all his titles will be reinstated as he passes the age of 70 and as he passes age 80 people will be begging for his recipe and he will go on to be awarded the Nobel Prize in Chemistry for discovering how to extended people's lives and maintain their health well into their 100s. It might not happen, but it might. Cheater or not, I just can't get behind tearing someone down with such enthusiasm. A little hope for something good feels way better. Doug and I have discussed the subject of cheating on several occasions. In general, I'm a little loose with rules. Doug is not. But we sail at different competency levels and for different reasons. I don't play to win. Doug does. I just want to enjoy the experience of the wind and water while staying fit and I'd like to be competitive but it isn't an essential for me. Doug wants to stay fit while matching up against the best competition he can find and he wants the playing field level. But, it's not. Lasers may be one design, but nature didn't make people one design. Some have natural advantages, disadvantages or a mixture of both. Doug was born with a couple of disadvantages, one of which he turned into an advantage and the other he doesn't make public. It is inspirational when someone overcomes a setback or disadvantage and climbs to the top. Role models are good. Tearing people down with allegations of cheating seems counterproductive. But, it happens. 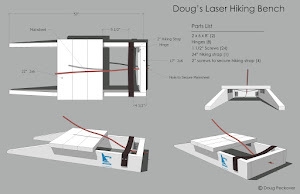 In Laser sailing there is Doug's pet peeve of illegal kinetics. 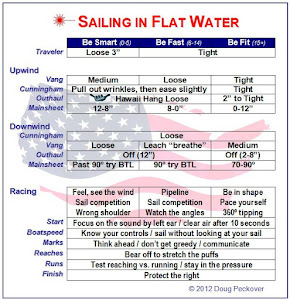 What is illegal in international sailing is legal in US college sailing. Having USA on a sail at an international event is often a Judge magnet. Many USA sailors get penalized at their first international event and very few win. Then there is Doug's newest concern. In the past few years, he's learned about the new tweaked out cheater blades being used. He was told many of the top sailors are using them. They say there is a loophole in the rules and it's actually legal but no one talks openly about it. Isn't that sort of like if you can pass a drug test, it's legal? Then justifying it by saying everyone is doing it, so it's a level field? But what about those, like Doug, that aren't using tweaked blades? If you use them and beat him, did you really win? Especially, if it was only by seconds? While following or breaking rules doesn’t really affect my overall performance, Doug plays by the rules and the finishes are often close. Little things do determine the winners. So, what do you do about cheating so that isn’t counterproductive? 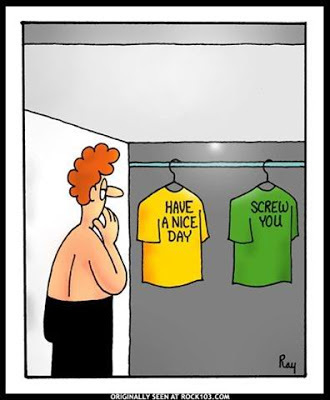 For me, a realistic optimist, I'd like to believe that just holding up a mirror every once in a while will make people think twice about their decisions and they will ultimately choose a level playing field. After all, it’s only a game and in the end, the real winners are the folks still sailing well into their 70s and 80s. At that point, no one can dispute that you're a winner no matter what you did along the way. That's the game I'm playing to win. Yeah, I've noticed that foil tweaking phenomenon too. A few years ago I heard one of the top guys in the class at the time complaining that he couldn't afford to sail in some major regatta on the other side of the country because he couldn't afford to get his foils refinished (again.) I can't imagine what he was paying to have his foils made faster if it was more significant than the costs of travel, hotels, meals, entry fees, charter fees etc. I've also seen Lasers advertised for sale, touting things like "rudder and board shaped by @#$%@." Shaped??? Since when was that legal? The Laser class rules say, "Surface refinishing of the centreboard is permitted provided the original shape, thickness and characteristics are not altered." And they say the same thing about the rudder. I'm not sure how big a loophole that gives anyone. Changing shape and thickness are clearly illegal. Personally I also think that making the board more smooth, or having lower friction, or being stiffer, than as supplied by the manufacturer would constitute changing other "characteristics" and so also be illegal. So where does one start with cheating in "One Design". Many volumes could be written. How about just giving us a paragraph or two for starters, oh wise anonymous one? So do you want, boat, sails, foils, or spars? How about something that applies to all of the above, so there are no loopholes. I like this: if someone stops doing something when you shine a bright light on it, then it's illegal. Yes, let's start with foils. When Doug and I go to a regatta, we have a newish Aussie boat and an good old Kiwi boat. He asks me if I want the new or old hull and I choose the new one. Then he says, that means he gets the new foils which aren't tweaked but he has sanded out what he calls imperfections from the factory. Then I end up with the wood centerboard. Sometimes I choose the opposite configuration. It never helps my sailing. He swears good foils are more important than a new hull, providing the old one isn't 40 pounds heavier or something. Maybe good foils make a difference at the front of the fleet but I don't believe they do at the middle and back. So, if there is "cheating" going on, it only makes sense at the top. But how much difference does it really make? Even with the spare parts boat, Doug still ends up at the top. He also says, going fast the wrong way, doesn't equate to winning. With my luck, tweaked blades would make me go even faster the wrong way and put me further down in the standings. Just to clarify, the imperfections were in an Aussie rudder after they changed their manufacturing process. The rudder was retired as soon as it was replaced by the manufacturer. I don't see a problem with "blue-printing" a blade; make it exactly like the spec says. Might be faster, might not but sanding and trimming it to perfection is simply attention to detail. Changing the shape or dimension is not "blue-printing" and is cheating. I agree totally. Taking care of blades is good, but changing their shape or material is not. I must say that I have a problem with blue printing blades because it's possible to make blades a lighter than the official ones using the same materials. 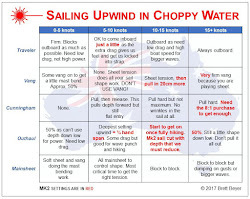 This is the reason the old wooden foils are not permitted on new boats, as a good set of wooden foils would be superior to the GRP or epoxy ones. This has me worried. Has anyone been to regatta where the foils have been weighed? This was an issue until the GRP, or whatever the "gucci" new and new-new blades are (the "yellow with clear top coat" and the "white with dark grey top"), became readily available (if you have the money). This was a very short-lived tempest in a teapot. Just to be clear, "blue-printing" is the final finishing of a factory supplied product not the recreation of the product using a blue-print. So you would start with a factory part and then trim it to the specifications of the class. Don't see the problem with that as you are just making the blades exactly as they were intended to be.